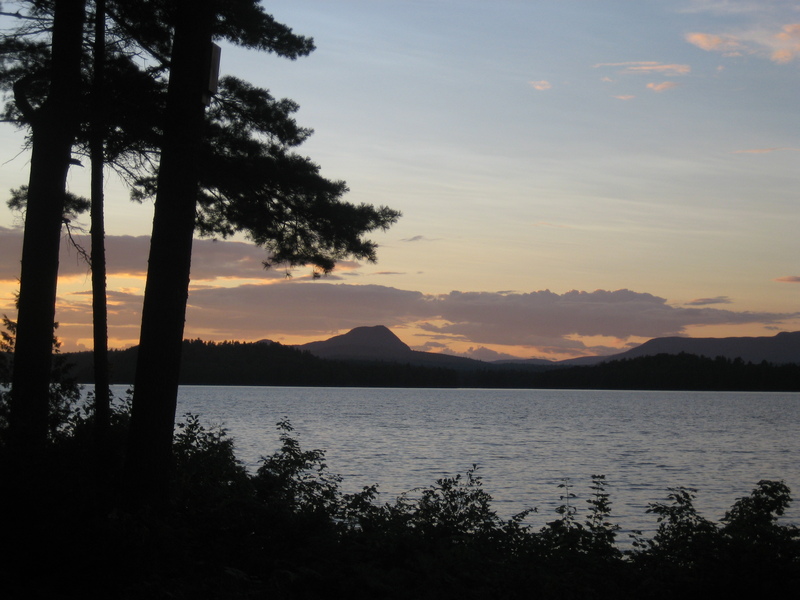 There is a wonderful place in Maine where the loons call and the water laps against the shore, and the smell of earth, pine and cedar permeate the air. It is a place absent of electricity and plumbing and it is, to me, the best place on earth. It is the absolute best place to read; whether indoors sitting in front of the large fireplace with the wood crackling, sending up sparks or outside on the back porch with Borestone solemnly rising in the distance, a gentle breeze rippling across the lake, and the promise of a breathtaking sunset. 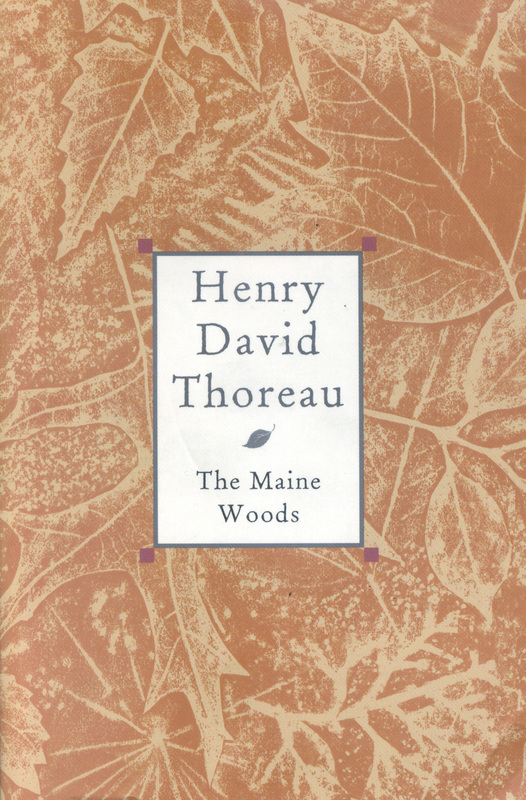 It is here a few summers ago I decided to undertake the reading of Henry David Thoreau’s The Maine Woods, an interesting read if at times a difficult one. It is a slow-moving book and took me a good deal of time to complete. 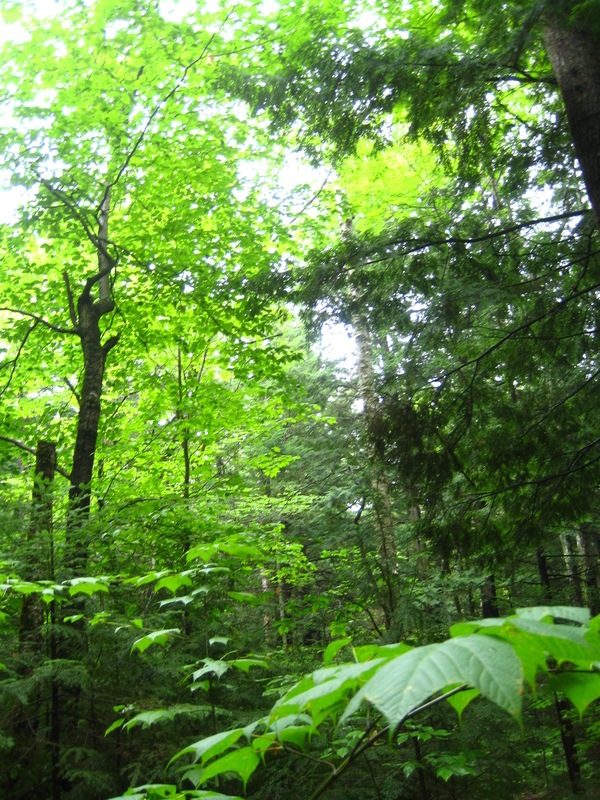 Thoreau’s writing is devoid of poetry and is very matter-of-fact and dry. Despite this, his descriptions left an indelible hold on me and like those places he describes the book forces one to slow down, to stop and smell the flowers. One of the things I liked most was Thoreau’s care and attention to detail, painstakingly describing the places, documenting the flora and fauna, and the Native American words for things. I was delighted to find one of these terms, pokelogan. There is a spot here that the family have always called pokelogan, a marshy, damp spot awash in lily pads, and occasionally covered in coarse grass where moose have been occasionally spotted. The origins of the name were sufficiently lost in recent memory (at least to me); that’s what the place was called and I never thought to question why. As a kid, trying to get the canoe around “Poky Logan”, when the water was low, was near impossible and the word “poky” apt because of the sluggish struggle to paddle through. I always assumed this was the origin of the name and never wondered who or what “Logan” was. Of course, I probably could have asked the older generation of aunts and uncles and cousins to find the origin of the place-name but that would not have given me the pleasure of discovering it for myself. The realization that my great-great-grandfather most likely read the posthumously published (1864) Thoreau tome, and may have chosen to use the native term to describe our “pokelogan” is a powerful one and doubly so because “my discovery” resulted in feelings of closeness to him despite the span of generations. Filed Under: American Literature, Reminiscences. I glimpsed into this book as it lay on the breakfast table next to my coffee cup in our wonderful Maine cottage and the overly detailed description of an ant crawling through the nooks and crannies of tree bark was not only boring but painfully pointless. I would rather watch paint dry. But it was fun watching my sister plod through this book between nodding off every couple of pages!